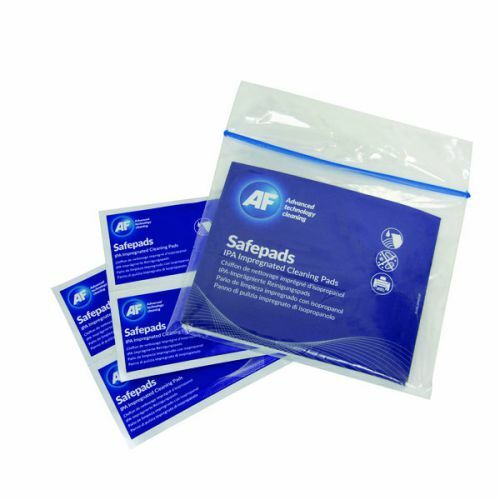 Eliminating bacteria and ensuring your devices remain clean, the AF Lint Free IPA Safepads are ideal for use on general surfaces or print heads and rollers. The lint free pads contain 99.7% isopropyl alcohol which evaporates quickly and leaves no residue. Effectively removing dirt and dust from even the most delicate parts of your printing devices, these Safepads ensure your work space is kept pristine.